This drawing took hours of research and study as it is a 100% medically accurate drawing of a women's uterus. Show any women this picture and she'll agree, bow and all. 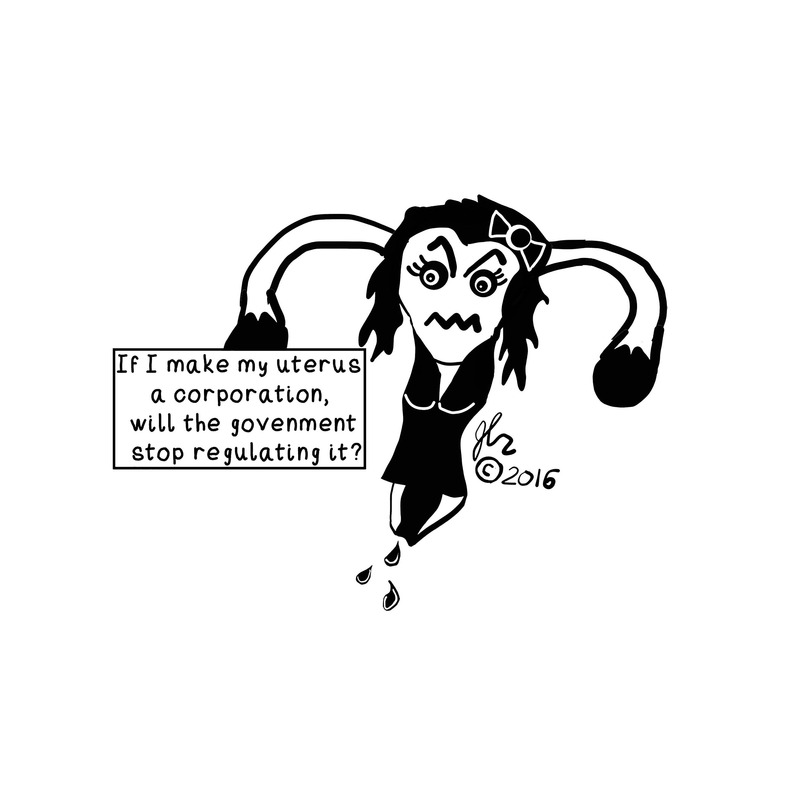 This shirt says, "If I make my uterus a corporation, will the government stop regulating it?" 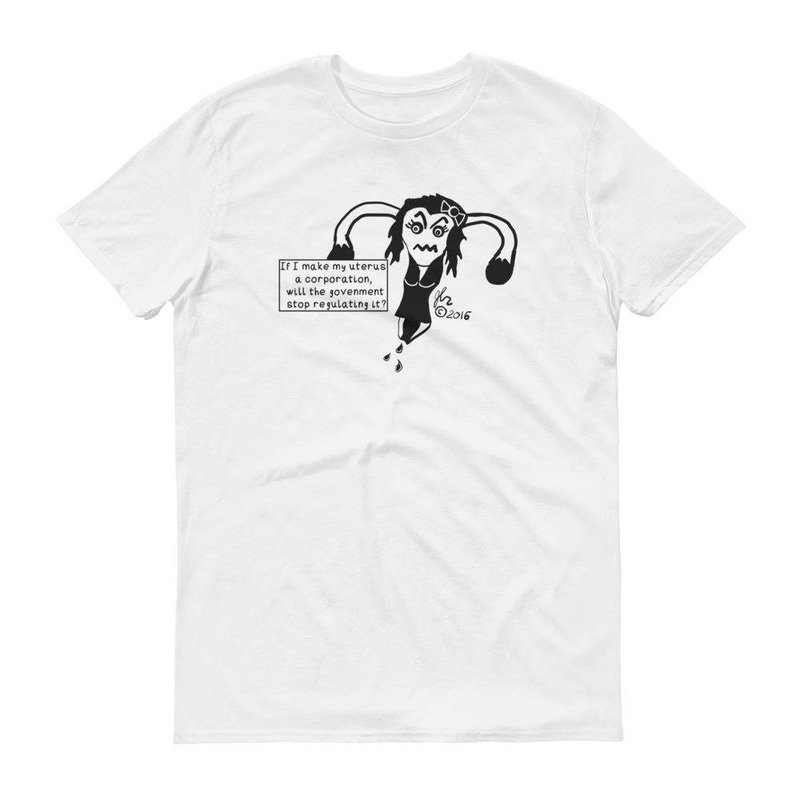 This shirt is sure to be a conversation starter.